MEMBER OF OFFICIAL INSTRUCTOR TEAM - OFFICIAL TEAM (OT): These partners, as DRAGOS WING TSUN-Tutors, have a supervising function to help participants of the Online Academy. Moreover, they are entitled to conduct DWT student grade exams. They use the official DWT standards in terms of educational program, training routines, appearance, etc. In order to meet the demands placed on them, these partners receive assistance in terms of leadership, advice on school management, communication, advertising, marketing, health programs and much more. 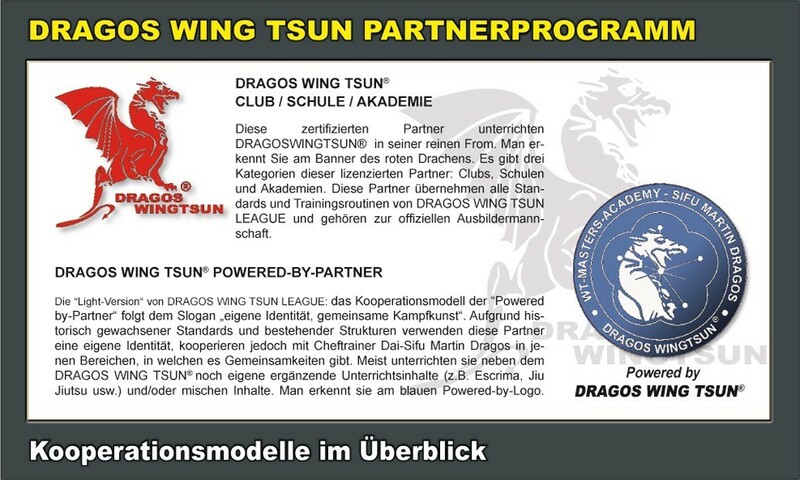 POWERED-BY-DRAGOSWINGTSUN - Partner (PB): These partners, in their position as POWERED-BY tutors, have a supervising function for participants in the Online Academy. However, they have their own identity standards (for example, their own association or school) and, in addition, their own content, which may differ from DWT. 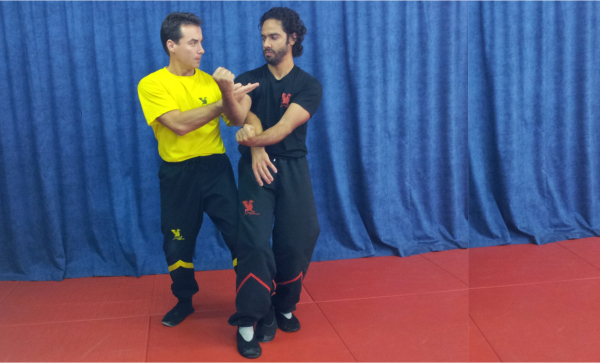 They are, nonetheless, authorized to offer DRAGOS WING TSUN® as a discipline of their training spectrum. To be POWERED-BY members, partners have to undergo intensive training at technician level (WT-Masters Academy) directly with Dai-Sifu Martin Dragos (for example, in the form of host courses, seminars or weekend intensive training). Which of the two models you choose as a future partner, depends simply on your own ideas and possibilities. The OFFICIAL TEAM model is mainly for those who are willing to integrate and identify with all standards of DWT. The POWERED-BY model is designed for the partner who desires more space for the program of his own school or association. For the people who do not want to restrict themselves to autodidactic learning with videos and who are searching for a training location near their home, there is a possibility of obtaining supervised training with one of our DWT Tutors. This option should speed up your learning experience and the speed ​​with which you are able to absorb new knowledge. Supervision can take place in the form of private lessons and/or through participation in more regular courses. A prerequisite for having your learning supervised by a Tutor is the acquisition of the respective program level (in person or in the Online Store). Every training begins with the basic principles. Using video documentation as a reference ("Core videos"), you can get an idea of ​​the curriculum content you will learn, before the classes start. Each tutor is urged to maintain the pre-set standards to ensure the unity of our curriculum. As an option, however, he might also introduce you to contents which are specific of his school. This is related to our policy of respecting the "personal touch" of each tutor, an autonomous incorporation of their ways of working. The important thing is that all minimum requirements are met. In this context, with the Online videos, the apprentice is always aware of what he should be learning from the tutor. For the people who already act as Tutors or who want to start a partnership, the tests are mandatory. Our partners prepare these candidates for their exams with the Chief Instructor, Sifu Martin Dragos. Those who are willing to follow our high ideals and really want to do something important with their lives are invited to accept the challenge of becoming instructors and, subsequently, establishing a partnership. The partnership will last only if a virtuous attitude, a strong willingness to work together and an exemplary behavior are observed. Experience shows us that there is a saying that is very true. It goes like this: "The character of the teacher is shown during the training. The character of the student is shown after." The entry level for instructors begins with the mastery of the program of 1st Technician Grade (1st TG of DWT). This means that the he/she has mastered the basic technical tools of the System, and is able to lead others as a tutor. Depending on the chosen type of partnership (Official-Team or Powered-By-Partner), the competence also needs to extend to leadership aspects such as school management, marketing, communication, teaching, advertising, health programs, etc. In the possession of this knowledge, the Technician is qualified to become a Teacher. Will my Graduations be Recognized? Oftentimes, are we asked by other people who come from other organizations whether their TG-grade is "recognized" in DWT? Answer: we are happy about having people with existing skills in our organization and we recognize their achievements. However, since apples are not the same as oranges, a mere converter of graduations would be pure vanity and self-deception. Honesty is an important part of our value ideals. It's not just hypocrisy. DWT is very different from other WT systems in conceptual and technical terms. The only promise we can make is that advanced students from other organizations learn much faster because of their previous experience. Each partner recognizes the rules of the license agreement. As a partner, he adheres to the principles of conduct and technical guidelines for the standardization of the curriculum. He receives all the necessary assistance for the development of his work. The initial probationary phase will demonstrate whether we are meant for each other and whether the relationship is based on respect, honesty and trust. After that, the partner is a full member of our community and is added to the official directory of instructors of our website. 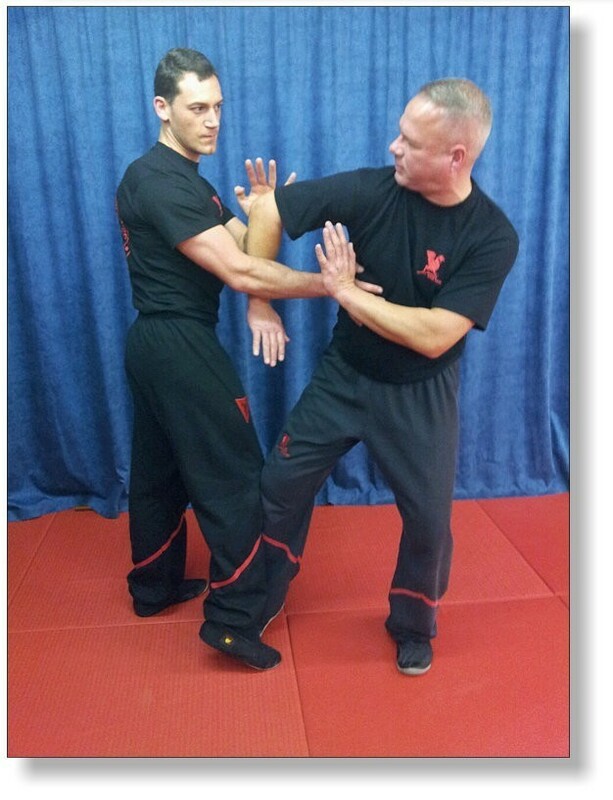 The combination study includes a division of the training process between a tutor and the Chief Instructor Dai-Sifu Martin Dragos. Once a month, the student visits Dai-Sifu Martin Dragos at the Central School in Villingen-Schwenningen to get private lessons for several days (free accommodation in the guesthouse is possible). The remaining time is guided by a tutor assigned to him. In this way, a student can reach the first milestone (1st TG) much faster than he/she would be able to with a regular education process. As a general rule, people with prior knowledge (for example, the first two forms, Chi Sao Basics) can reach to the 1st TG within 6 months. Participants without prior knowledge need about 1 to 1.5 years. The Intensive Weeks ("WT-Masters-Academy") are personally conducted by Dai-Sifu Martin Dragos and are also held outside Germany (see Calendar). It is the most important event for the education and training of all instructors. At the latest, all students who eventually reach the Technician Degrees (TGs) will have personal contact with the Chief Instructor in this form of event. However, the students who already master the basics (4th SG-DWT) are also welcome to participate at any time. The focus of this seminar is on getting the most from Dai-Sifu Dragos in a short period of time, in order to get closer to perfection of each respective level. Our partners are given the autonomy to determine which of their students will be undergo an (optional) examination, since we respect the principle of order. The Bootcamp is designed to provide an overview of larger parts, or even the entire, DWT system. This seminar option was created as a compromise for those who cannot participate regularly in the training courses of the Chief Instructor, for personal reasons or because they live in other countries. Also, with this approach, the students who have had their learning artificially impaired in other organizations (who share the Secret Cult mentality), finally have the opportunity to fulfill their dream of completing their knowledge gaps. This is one of the aspects that makes this seminar option the most attractive to some people. Although these were the main reasons for the creation of the Bootcamp, we point out that there is a big difference between "seeing the content" and "having the ability to apply it". Nobody will be a "master" after 9 days of Bootcamp - a lie often spread, with pleasure, by our critics. Actually, the actual training of the student starts after the Bootcamp. By having an overview of the connections of all knowledge areas of the System, the student can understand how everything is connected and, because of that, learn faster. In the continuation of his learning process, the student is free to choose the training route which suits him best. Flexibility is our forte. Therefore, the student who is interested can go through any (or all) of these training paths. We invite you to come and "test" us first, have a first contact and first impressions. Last but not least, we also want to know whether chemistry is right. After that, everything is possible.